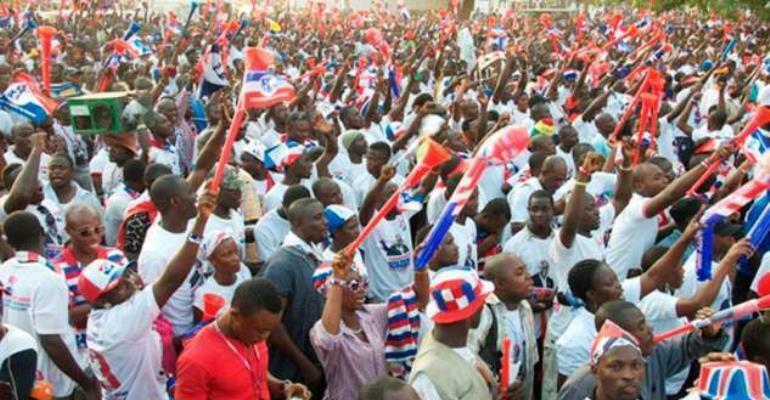 Delegates of the New Patriotic Party (NPP) in the Jaman South constituency today February 25, 2018, went to the polls to elect new executives to steer the affairs of the party for the next four years. A day before the elections, there were fears that the elections could not take place after it was detected that the ballot papers had no serial numbers. But after a crunched meeting on Sunday night, the DCE and other party functionaries resolved to have the ballot reprinted with serial numbers embossed on them, a timely arrangement that calmed nerves and gave the people confidence in the process. The elections which came off today at the Adamsu Presby Church started around 10:00 am amid tight security from personnel of the Ghana Police service. In all, 663 delegates comprising constituency executives, party founders, the Member of Parliament and polling station executives from 120 polling stations took part in an election which lasted almost 10 hours. At the end of the keenly contested election, Ferka Alexander, a banker polled 339 votes to shrug off a stiff competition from Yeboah Anthony, a favourite of the incumbent Member of Parliament who could manage only 148 votes. The First Vice Chairmanship position was snatched by Afful Yaw Henry, Fosu Bernard picked the slot for the Second Chairmanship position whilst the Secretary position was won by the hardworking Appiah Alhaji Abuu. Delivering his speech after a hard-won victory, the Chairman-elect, Ferka Alexander thanked the delegates for the overwhelming endorsement and promised to move the party to a higher pedestal.